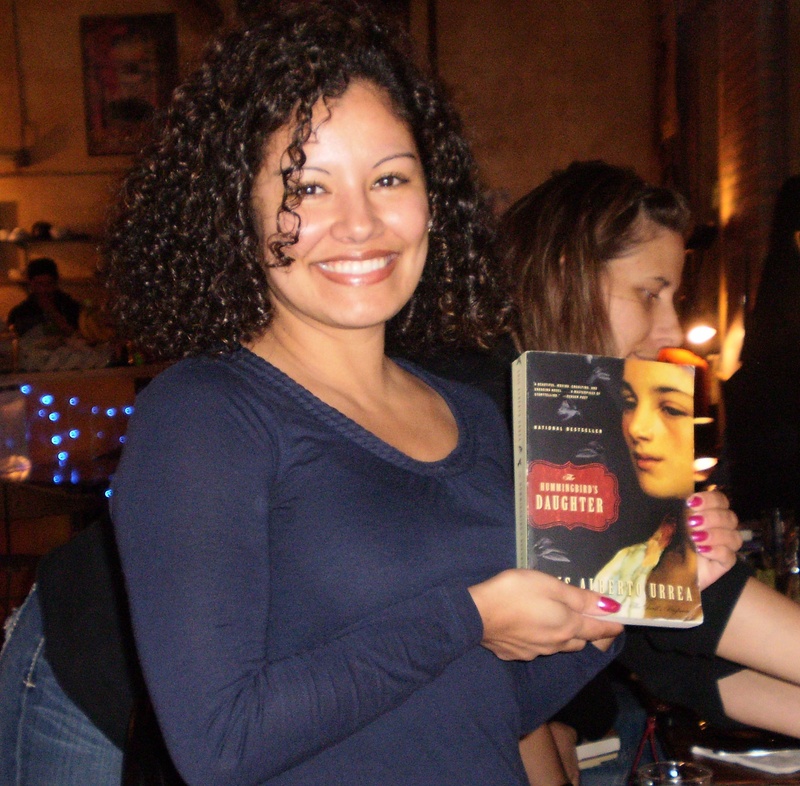 A few weeks ago I met a Idaima Robles at the Proyecto Latina Reading Series. This enthusiastic young woman beamed as she told me about a book club called Las Frijoleras she co-founded with Diana Carranza. “Another book club,” I thought to myself wishing I had more time to participate in these literary gatherings. However, Idaima’s enthusiasm for the book club was contagious. I asked her “so what makes your book club so different”? Apparently their focus is on books written by Latinos but they also have a philanthropic component raising funds for organizations serving the Latino community. Idaima invited me to sit in on a special book club gathering featuring Pulitzer Prize finalist Luis Alberto Urrea author of The Devils Highway and El Norte and many other books. Having peaked my interest, I met Idaima on a lazy Sunday at a laundry mat turned café on 18th street in the Pilsen neighborhood. We chatted before the event about Las Frijoleras and what they were up to with their book club and grassroots fundraising inititiatives. Robles told me she came together with co-founder Diana Carranza at a coffee house and started kicking around ideas about how to help their community. When Diana suggested a book club Idaima was hesitant,” I wanted to be an activist in some way and give back to the community.” That’s when they came up with the idea of a book club with a twist. 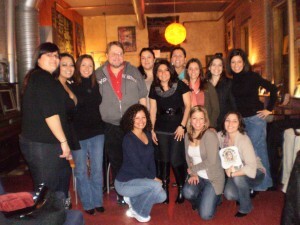 Their book club would not only support the work of Latino writers but also have a philanthropic arm to it. They would host grassroots fundraisers for various organizations serving the Latino community. Since they’ve started they’ve done fundraising for a public school in South Chicago and in December they did a toy drive for children in their community. Their plan is to continue reading a variety of Latino authors while fundraising for more organizations. Growing up being able to read in English was crucial for Idaima and her family. When Idaima first arrived from Mexico to South East Chicago her first memory is snow and the struggle to learn English. “We ended up learning English as a whole family”, says Idaima. By the time she got to high school the only Latina author she could relate to was writer Sandra Cisneros. In college Idaima discovered Sor Juana Ines de la Cruz and was inspired by how Sor Juana broke barriers in Mexican colonial society. Since then she has sought out Latina/o writers to read with the book club. “We know there are lots of talented Latina/o writers out there and as a reader we have a responsibility to support them,” says Idaima. At some point they’d like to mentor young Latinas at an elementary school. Idaima, says “we made it out of these neighborhoods having faced the challenges of violence and poverty and now we want to go back to our neighborhoods and give young Latinas role models”. Idaima recalls her first memory of frijoles when she would tell her mom “otra vez frijoles”? These days she enjoys frijoles, “It’s the food of the world,” she says laughing. In Pre-Columbian times the nahuatl word for frijol was ayacotli. This ancient and diverse food staple is still an important part of many cultures in Mexico, Central and South America and the Caribbean. Idaima says they got their name because “we wanted something that was catchy and reflective of who we are. The book club is laid back but reading and discussing serious issues impacting our communities”. 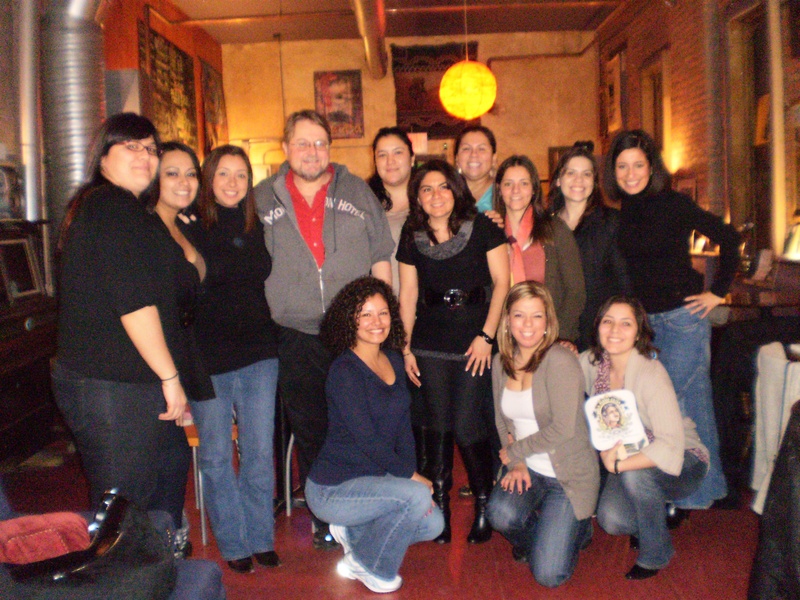 After the interview ended and writer Luis Urrea walked in with his wife Cindy the book club members excitedly greeted them. They have a literary crush on Urrea because “he is writing stories about the people we see everyday, we are those people”, says Idaima. One of the things that struck me is that all of the members are young college graduate Latina professionals. These ladies saw a gap in their community and took action and created their book club. It’s refreshing to see this next generation of Latinas taking the lead. If you are hungering for books and community Las Frijoleras like the frijol are sure to become a literary book club staple in our community. What books would you recommend for Las Frijoleras? I am a Latina writer, and I would love to have your group read my recently released debut novel, Tree of Sighs (Bilingual Press). I live in Westville, Indiana and teach fiction writing part-time at Purdue North Central. Although Tree of Sighs is my first novel, my collection of short stories, Chasing Shadows, was published in 2000 by Chronicle Books. 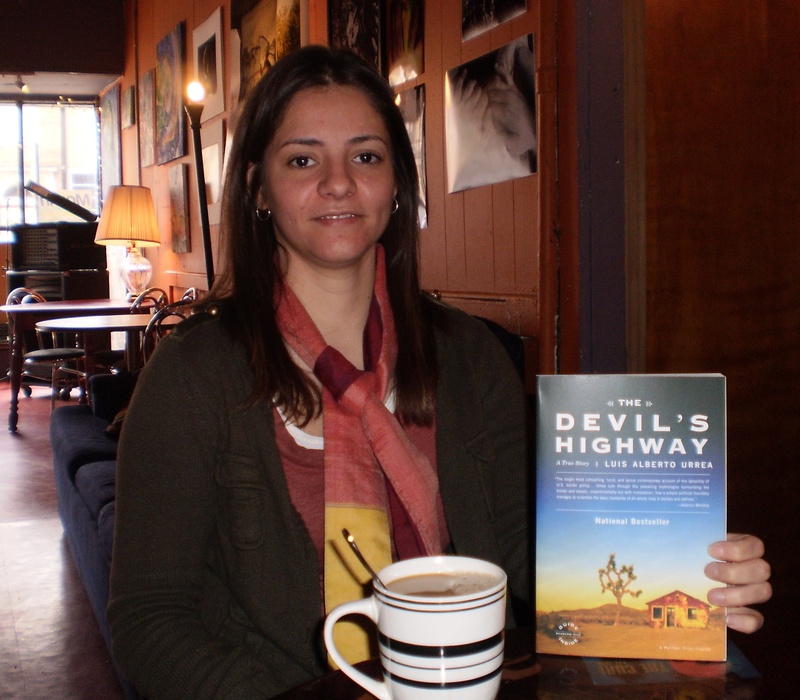 In addition, I’ve had many stories published in literary journals such as The Antioch Review. My work has been anthologized in Best of the West 2009 and Fantasmas: Supernatural Stories by Mexican-American writers. I am bicultural and bilingual and, although I’ve in the Midwest for years, grew up on the Mexican-American border. If you are interested, please feel free to contact me at my email address. Thank you for your time. I’m so excited to find your pages! Way to go, my Sisters. Looking forward to reading more. Peace (and anarchy) and all good things for you in literature and in life!